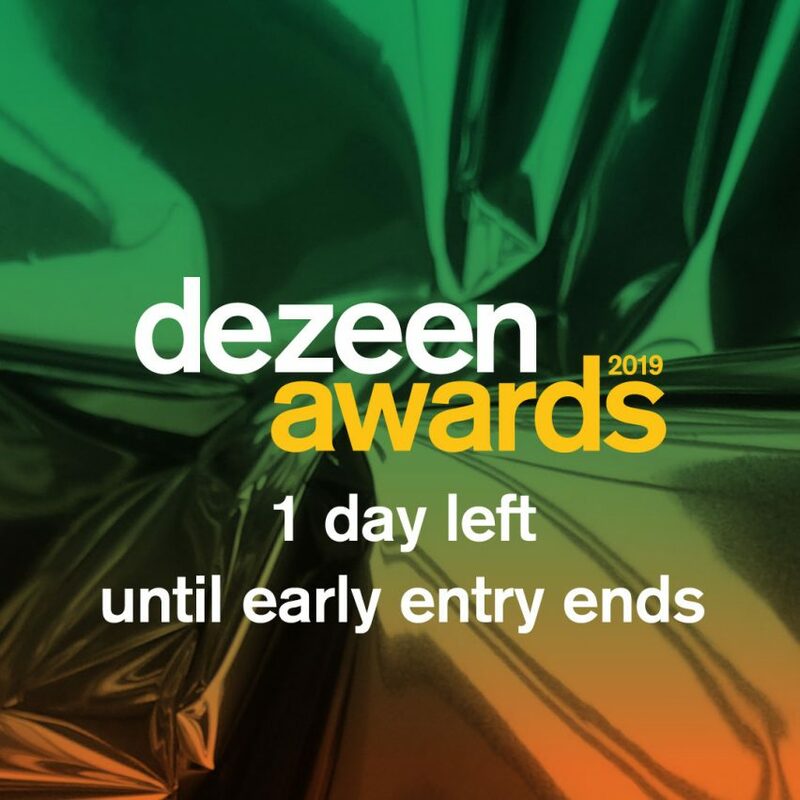 With our early entry discount ending tomorrow, here are answers to some of the questions Dezeen Awards 2019 entrants have been asking us this week! Read on to have your last-minute queries answered. When do early entries close? At 23:59 UK time on Friday 29 March. Do I need a PayPal account to pay for my entry? No. We use PayPal to process payments but you can pay with a regular credit or debit card. Simply select the option “pay with debit/credit card” and check out as a guest. Once I’ve paid to enter, do I have to pay for anything else? No. There are no extra or hidden costs to entering Dezeen Awards 2019. There will be a winners’ party in late October/early November for which we may charge a small fee – but there is no obligation to attend. Can unbuilt or speculative projects be entered? Finished projects only, sorry! Read through our terms and conditions for more details or get in touch with us if you’re unsure. Can I submit a video of my project? Yes, you’ll be able to share a video link in the entry form. It’s not mandatory to share a video but it will help the jury understand your project. Can I upload computer-generated images? We recommend that you mostly upload professional photographs, together with drawings that will help the jury understand your project (for architecture and interior projects). Computer-generated images will be regarded as supporting material and will be given secondary importance during judging. Yes, you may return and edit your entry as many times as you like up until you submit and make payment. Once you’ve paid you can’t make any further changes. If you run into issues or have questions drop us a line at awards@dezeen.com or visit our how to enter page for more information. Winners will be announced online in late October/early November. The exact dates haven’t been confirmed yet but if you subscribe to our newsletter you’ll receive regular news and updates. The post One day left to save 25 per cent on Dezeen Awards 2019 entries appeared first on Dezeen.